I’m no different than a lot of players out there who like the ‘action’ of a poker game. The natural way to satisfy that need for action is to be involved in a lot of hands by playing all sorts of poker starting hands and find themselves chasing and calling a lot hoping for the miracle flop or card to hit. Well here is where you need to make the choice… Do you want to satisfy your need for action and just play for fun and accept that you will be a losing player, or do you want to play for profit. Let me tell you that being profitable is way more satisfying than being constantly involved in the action. The fact is that to be a good poker player you have to fold way more hands than you play and many players just cannot grasp that concept. I’ve seen many times online where players are playing 40 to 50% of the hands. That’s way to high. I think if I play 20% or less of the hands that are dealt I’m doing ok. Sure you will have variations from session to session but we are looking at average hands played over many tournaments, not just one. My average is around 15-18%. So from that statistic alone you can see that you have to be folding way more than you are playing. Playing too many hands is the number one reason for players busting out early. Its true, I see it time and time again. In fact you can see it for yourself next time that you play a tournament. Pay attention at your table and watch for the players that are involved in way to many hands. Granted a small portion of these players will get lucky but I bet you the vast majority are eliminated within the first 2 hours. So it is really important and the first fundamental principle that you need to take away from this tournament strategy guide that you understand that you should be involved in very few pots and folding way more hands than you play. Obviously if you are dealt a premium hand you are probably going to be playing the hand, by premium I mean AA, KK, QQ and AK. 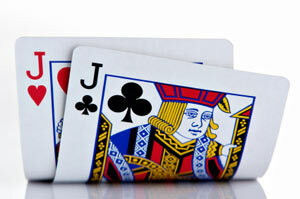 So in order to achieve this new principle then you need to look at the next best hands that you play a lot. These are the hands that look great but actually are not that strong and are very vulnerable to being beaten.Hands such as JJ, AQ, AJ, AT, KQ etc. You shouldn’t just discard these hands without thought, there will be situations where it is suitable to play them when you are in position. Being in position means that you are the last player to act in the hand by which time you will have seen all the other players bet or check in front of you and can use that information to make your decision. It is a very powerful position to be in and is a huge advantage. The best position to be in during a poker hand is on the dealer button, or the closest to the dealer button with everyone behind you having folded. When you are in poor position with lots of players still to act after you then you must resist the urge to play these marginal hands. Folding good (but not premium) hands in early position will make you a good tournament player. Playing cards such as AJ under the gun will see you bust out regularly. What you have to get your head around here is that you are not looking for luck to rush to your rescue. You are looking for opportunities to exploit. Lets say that player A raises with KQ offsuit in early position, and player B staring at AK on the dealer button. Player A is in a world of trouble and he probably doesn’t even know it. The problem arises because KQ is “probably” the best hand at the table. However raising into the unknown with this hand is a big, big mistake. Even if Player B just calls the raise and a King comes on the flop, Player A has no idea whether he is ahead or not and will have to spend more chips to find out. This is creating the opportunity for disaster the exact opposite of our strategy. We want to be going into flops strong and looking for opportunities to exploit. Of course you see people do it all the time, and get away with it. But that doesn’t make them a good player it simply marks them out as someone who is prepared to take unnecessary risks in the game. Lastly, when you do play a pot, come in raising and take no prisoners. If there are three limpers in front of you and you have AK – raise it up six or seven times the blinds so that you get only one caller or even get them all to fold. With AK this is a result not a missed opportunity. You will probably miss the flop and have to make a continuation bet into the unknown to win it anyway. We are going to talk in the next article about removing distractions which is very important and it relates directly to this topic. When you eliminate unwanted distractions and can fully concentrate on the task at hand you can make better decisions and are less likely to force the action. Forcing the action means making plays you wouldn’t normally make or shouldn’t normally make. Betting when you shouldn’t bet, playing medium hands out of position, calling a raise with a mediocre hand in the late stages of a game. Get the picture! Its all of these and more. You just have to relax, think things through and play the cards you are dealt and the players you are playing against. To achieve this you need to have total concentration on the task in hand. All it takes is one bad decision in a tournament and that can mean elimination. My game has been pretty good lately and when I think about my wins it always goes back to staying patient and waiting for the right hand or situation to come. When I’ve done that, good results usually followed. In most of those situations my opponent have needed the ‘luck’ to win the hand and that’s exactly where you want to be. Forcing the action is a dangerous game to play. Sure you may luck out once and a while but is that really what you want your game to be about? Forcing the action leads to bad decisions. I think a lot of us have fallen in this same trap and can learn from it.